Tacos are global food that has many variations. Learn how to make six different kinds of tacos, from five different countries. Read here for the recipes. With #TacoTuesday sweeping Instagram and every fusion restaurant bringing tacos to their menu, it’s safe to say America is loco for tacos. And honestly, can you blame us? Meat, veggies, and sometimes sauce or cheese wrapped up in bread – what could be better? But while we all know tacos originated in Mexico, did you know cultures all over the world have tacos? From Texas to Turkey, from Vietnam to India, everyone’s on the taco train. Read on to learn about how to make tacos from six countries around the world. As you might know already, the taco originated in Mexico, specifically in the lake region of the Valley of Mexico. Anthropological evidence shows that tacos predate the arrival of the Spanish in Mexico. People indigenous to the region ate tacos filled with small fish, and Hernan Cortes was part of the first taco feasts European people enjoyed. The word “taco” comes from a Nahuatl word “tlahco,” meaning “half” or “folded. This refers to the folded shape of the taco. 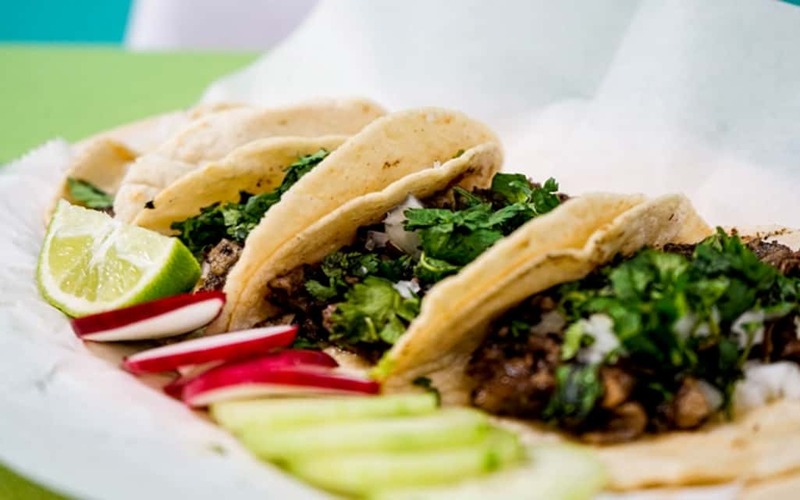 In 1980, the taco as we know it today was born around Cuautla, Morelos, and over the next few years, it made its way to the capital, Cuernavaca. Most of us are familiar with the basics of the Mexican taco, although it should be noted it’s different than the Tex Mex taco. A traditional Mexican taco starts with a soft corn tortilla and some variety of meat. Taquerias in Mexico will offer five or six taco meat options every day, though hamburger meat is never on that list. Whereas Americans love to add cheese to our tacos, Mexican tacos stick to the classics. You may have some diced white onions and cilantro in the shell. And of course, you can’t forget the salsa – spicy, homemade tomato salsa and, sometimes, a lime to squeeze onto your taco before you enjoy it. Traditional Mexican tacos eventually made their way to Texas, which put its own unique spin on them. Today, thanks to fast food chains like Taco Bell and taco catering company trends, most of us have had a Texas-style taco. It’s different in a few significant ways from its origins. For one thing, a Texas taco can have either a hard or soft shell made with corn or flour tortillas. Most of the meat in Texas tacos is either chicken or pork, and you can bet there will be cheese involved. The iconic salsa is there, of course, along with lettuce and diced tomatoes. Vietnam has its own take on stuff wrapped in flatbread, and it’s surprising how much it resembles Mexican tacos given how different the two cultures are. Vietnamese tacos use rice paper as their base, making them something of a cross between a spring roll and a taco in the traditional sense. It isn’t cooked on the outside, and it can be served at room temperature or chilled. Vietnamese tacos have the spicy meat in place, with pork or shrimp usually being the meat of choice. They also have fresh vegetables such as bell peppers, greens, and avocado. They may incorporate bun, which is a sort of rice vermicelli, too, and there isn’t a traditional sauce in these wraps. When we start talking about Italian cuisine, flatbread, tomato sauce, meat, and cheese, you may go to pizza or calzones. But Italy has its own version of the taco, known as a piada. The word piada actually refers to the flatbread that makes the base of the dish, a bread that falls somewhere between a tortilla and Southern hoecake. Piadas can incorporate all manner of fillings, from meats and veggies to Nutella and bananas. The savory piadas usually include any variety of Italian met, from salami and sausage to prosciutto. Mozzarella, arugula, tomatoes, and eggplant are usually in attendance, too. Turkey’s flatbread dish resembles a burrito more than a traditional taco. The dish is known as a durum, named after the meat that fills them. Durum is slow-cooked chicken, beef, or lamb served inside a lavash or yufka flatbread. Turkey also has another taco-adjacent dish called borek. This dish can be rolled, puffed, or layered, and it incorporates minced meat alongside various veggies. If you’re a vegetarian, you can also get borek filled with a spinach and cheese mix. Anyone who has ever had naan won’t be surprised that India has its own version of meat-filled flatbreads. In a lot of Indian cuisines, flatbreads are used as a sort of “spoon” for scooping up rice and bits of various dishes. But there are some dishes that fall more into the traditional category of tacos. You can find taco-esque dishes that center around dishes like chicken tikka kebabs, paneer tikka, and various curry sauces. Many of these use flatbreads or crepes wrapped around vegetables and layered with ghee. Samosas could also fall into the taco family, although they are fried rather than wrapped and served. Tacos are amazing in their diversity and simplicity; they have a few simple ingredients, and they’re popular in different forms all across the world. As long as you have some flatbread, some vegetables, and some meat, you know how to make tacos. Experiment with different flavors from cultures around the globe, and discover your favorite way to enjoy tacos. If you’d like to read more awesome articles like this one, check out the rest of our site at 5 Best Things. We have posted about health, travel, business, and more. Check out our bank of articles about the world today.